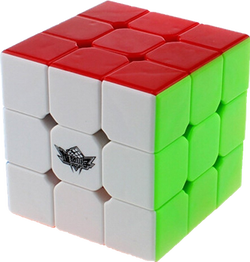 This cube is very smooth and easy to control. It is not as fast as other cubes out there but I view this as a casual cube. It isn't meant to break records but for a casual cuber who wants something more than basic brands that lock constantly. The only complaints are; the cube is slightly noisy and the orange and red are very similar in certain lighting. When I first got it, it felt very buttery smooth, but not so fast. After wearing the lube out and putting in my own weight 2, it was much faster however, maybe a little too fast. So I adjusted the tensions a little tighter and it was just right. However corned twists are happening a lot to me on this cube for some reason.